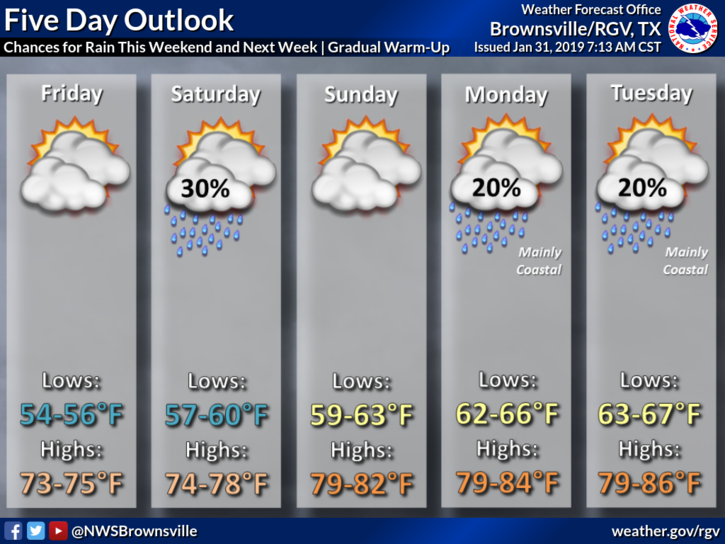 Highs are expected to be in the mid to upper 60s and lower 70s with rain and drizzle Thursday across the Rio Grande Valley, according to the National Weather Service in Brownsville. 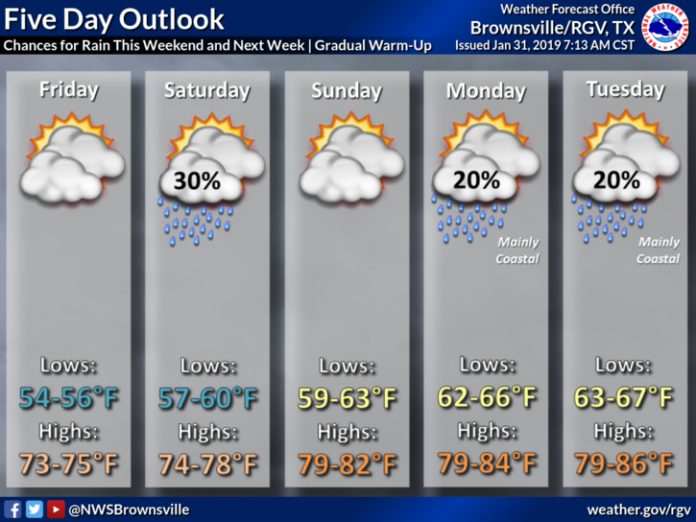 Brownsville is expected to see a high of 72. McAllen will see a high of 69. Looking ahead, there is a possibility of 80-degree weather by Sunday as temperatures rise to close out the week. On Friday, lows will be in the mid 50s and highs in the mid 70s.